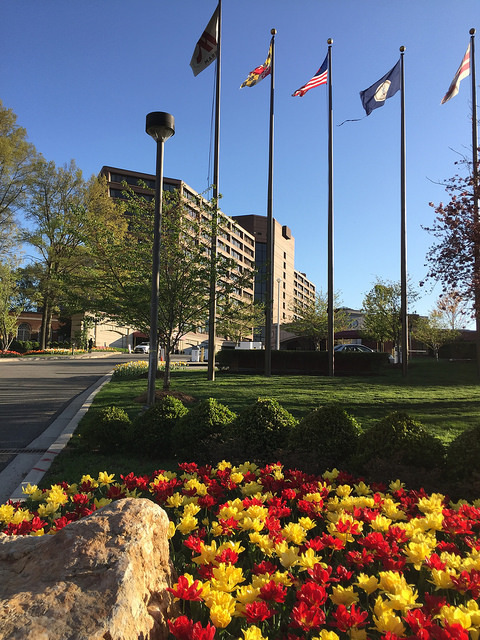 Since your publication has recently covered JBG’s development proposals for the Marriott Wardman Park hotel and the surrounding property, I thought you might be interested in the perspective of Woodley Park residents. This evening, I have sent this letter below to each of the officials addressed below, along with the attached position statement, supported by the signatures of 417 neighbors to-date. We Woodley Park residents and neighbors of the property surrounding the Marriott Wardman Park hotel would like to register our opinions and concerns regarding the proposals for a change of zoning and development of that property submitted by its current owner, the JBG Companies, and by any successor owners if JBG should succeed in in its effort to sell the property. In total, 417 neighbors (to-date) have signed a petition opposing the Planned Unit Development (PUD) to add a massive “North Lawn building” to a site that is already at its full density limit. (Any building on the site’s current open space, even if smaller in size than the currently proposed massive building, would require the DC Zoning Commission to approve a change to higher density zoning.) We neighbors also opposed the Stage 1 PUD for extensive re-development across the 16-acre site, which the developer recently withdrew. Please note that the developer withdrew its Stage 1 application to re-develop the site of the Marriott Hotel because it says it is “excited to envision new possibilities for the entire Wardman Park site,” that it wants to develop “a master plan for the site” and that it is interested in “new possibilities for the entire Wardman Park site in years to come.” However, it is still pursuing its application its application for the “North Lawn building” even though a new building on the site now is not only inconsistent with developing a “master plan” for the site, but doing so would unreasonably limit options available for the overall site in a master planning effort. The developer’s proposal calls to convert an area currently zoned moderate density into a high density zone that would significantly significantly alter the character and livability of the Woodley Park neighborhood. The developer proposes to build many additional luxury units, furthering the transformation of a multi-cultural, multi-generational and multi-income family neighborhood to one that is more exclusive, less affordable, and less attractive to families. In particular, the same company’s recent developments on this same lot (the Wardman Tower condominium, and the Woodley Apartment Building) are dominated by high-cost luxury apartments that are attracting even more luxury development, and which tend to motivate other owners of multi-unit properties in the neighborhood to transition toward luxury units, thus driving out affordable family housing. This phenomenon is not unique to Woodley Park. In an analysis published on a New York Federal Reserve Bank blog, “Differences in Rent Inflation by Cost of Housing,” economists Jonathan McCarthy and Richard Peach find increasing the supply of luxury buildings enhances the bargaining power of those at the top of the economic ladder, but does nothing for those on the lower rungs of the ladder. In fact, it can make their situation worse as older properties—a staple of Woodley Park—are converted into more up-scale ones to compete with the new luxury buildings. According to the economists, the end result is that currently affordable apartments will become too expensive for low-income families. While the District desperately needs more affordable housing, JBG’s proposal will cause a loss of affordable housing in Woodley Park, pushing many of our less fortunate residents out of the neighborhood. The developer’s proposal will also make Woodley Park less livable and less attractive to all kinds of families, because it drastically reduces green and open space from the current 67,000 square feet to a promised 27,000 square feet, while increasing population pressure on local park space, nearby Oyster-Adams Elementary School, the single entrance to the Woodley Park Metro station, vehicle traffic, and drainage. The developer has made no plans to consider or address the accumulated impact of its recent buildings, nor the full range of future buildings on our neighborhood’s infrastructure. This developer clearly hopes to develop its parcel in a much denser way (having built on the entirety of the parcel to the maximum extent permitted by current zoning), it has submitted its PUD in order to request an increase in the allowed zoned density. The developer’s internal plans have long called for redevelopment of the Marriott Hotel as well, evidenced by the Stage 1 PUD that it filed but has since withdrawn. In fact, the developer acknowledges that it has been pursuing approvals for the development in a piecemeal fashion – with a statement on its website indicating “…we recognize that potential city-wide zoning and planning changes, including amendments the Comprehensive Plan by the Office of Planning, preclude [our own] long-term plan for the site at this time.” Rather than consider the impact of individual applications and buildings, our community urges that the District of Columbia consider the cumulative impact of development in our neighborhood (by JBG, its successor, and others), by undertaking development of a Small Area Plan (SAP) which would then become an amendment to the Comprehensive Plan. This will allow for planning of interdependent development and community features, as is appropriate for a large complex site adjacent to a Metro station.